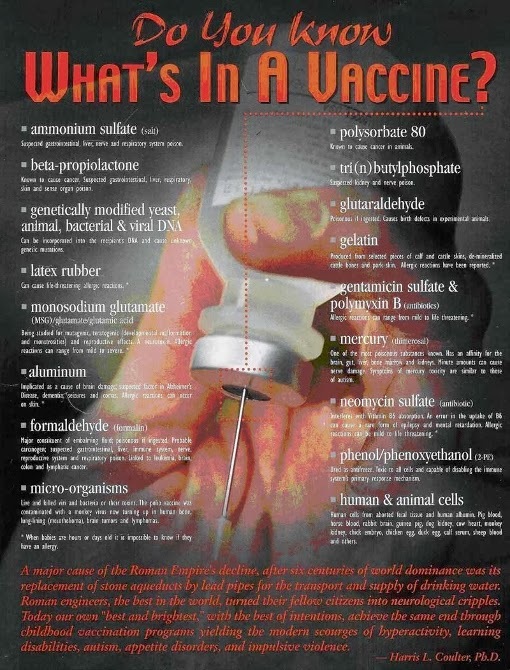 As you read this list, understand cell lines and vaccines do become contaminated. This is often hidden under the term "adventitious agents." 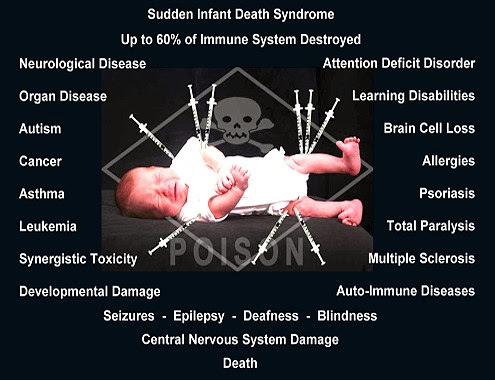 Aborted fetal cells, listed on vaccine package inserts as "Human Fetal Diploid Cells." Two aborted fetal cell lines, WI-38 and MRC-5, have been grown under laboratory conditions since the 1960s. "After slaughter and bleeding of the cow at an abattoir, the mother's uterus containing the calf fetus is removed during the evisceration process (removal of the mother's internal organs) and transferred to the blood collection room. A needle is then inserted between the fetus's ribs directly into its heart and the blood is vacuumed into a sterile collection bag. This process is aimed at minimizing the risk of contamination of the serum with micro-organisms from the fetus and its environment. Only fetuses over the age of three months are used otherwise the heart is considered too small to puncture. 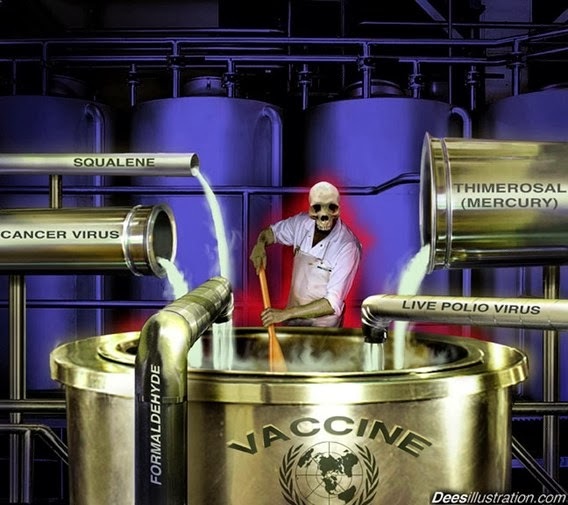 "The next and only serious vaccine crisis that has occurred since the polio episode was the realization in mid-1961 that a monkey virus later shown to cause tumors in hamsters was contaminating both polio and adenovirus vaccines. 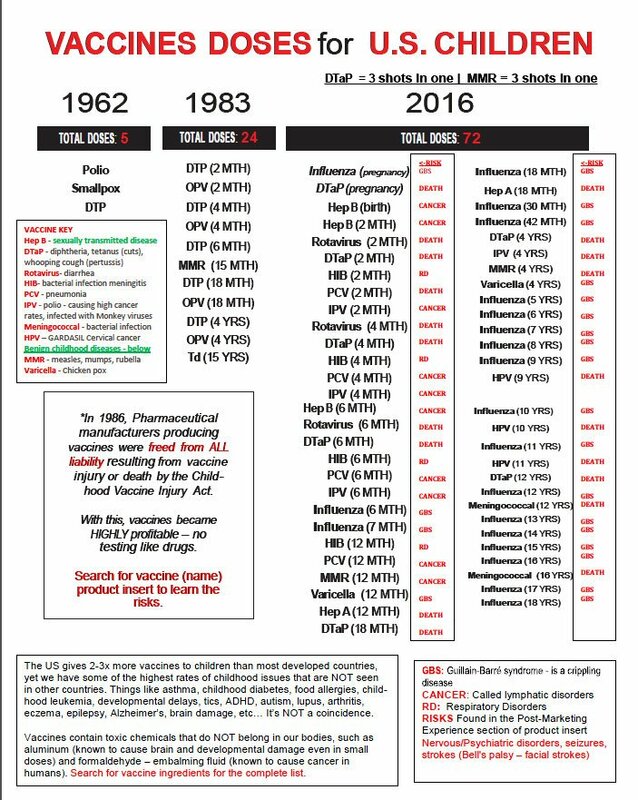 The virus, known as SV40, was entering the vaccines and, just as in the polio case were surviving the formalin treatment. There were several states by which the full extent of the SV40 problem became known. 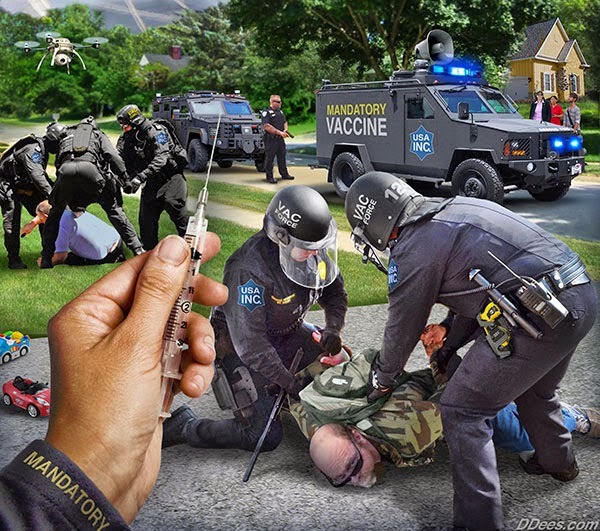 First was the discovery in 1959-1960 by a DBS scientist, once again Bernice Eddy, that an unknown agent in the monkey kidney cells used to produce polio and adenovirus vaccines would cause tumors when the cells were injected into hamsters." "In 1954 Eddy, as a polio control officer, found live virus in supposedly killed polio vaccine; in 1955 she was relieved of her duties as polio control officer ... After her discoveries concerning the SV40 virus, her staff and animal space were reduced and she was demoted from head of a section to head of a unit." " ... even when the contaminating virus was found to be oncogenic [cancer causing] in hamsters, the DBS [Division of Biologics Standards] and its expert advisory committee decided to leave existing stocks on the market rather than risk eroding public confidence by a recall." 3. Executive Reorganization and Government Research of the Committee on Government Operations United States Senate, Ninety-Second Congress, Second Session. Page 499-505. April 20,21; and May 3,4, 1972.